Was accounting ever cool? Well, yes, in a nerdy sort of way. Double-entry bookkeeping, codified in the 15th century by Fra Luca Pacioli, a Franciscan friar and pal of Leonardo Da Vinci, was essential for the expansion of trade and the creation of the modern corporation. Bookkeeping and accounting were as important to economic development as two other financial inventions – insurance and fractional reserve banking. Double-entry bookkeeping is an elegant system, simple yet powerful. It supports the accurate recording of transactions and the economic condition of a business as well as analyses of its performance. That’s cool. 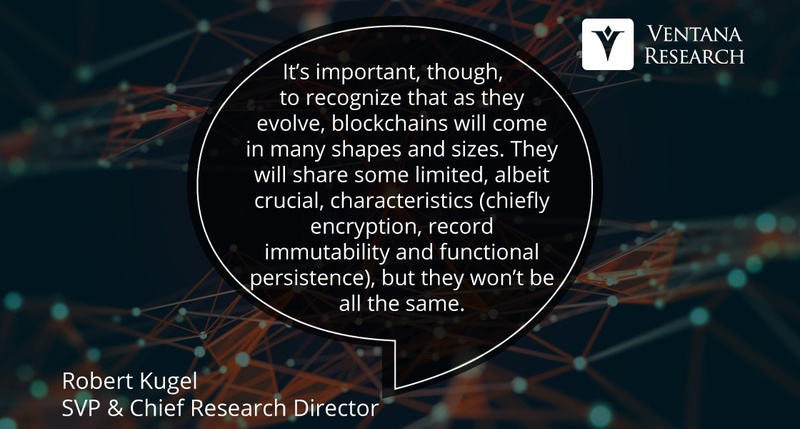 Blockchains are attractive because their built-in security and trust factors make them useful for almost all business interactions involving organizations and individuals. Blockchains have two basic functions. One is as a method for handling transactions involving property such as land deeds, trademarks or other assets. The second involves exchanges of data such as identities of individuals or businesses, the location of an object at a point in time or weather conditions. All interactions involving property or assets include the transfer of data as well, of course, but some blockchain use cases are informational only. 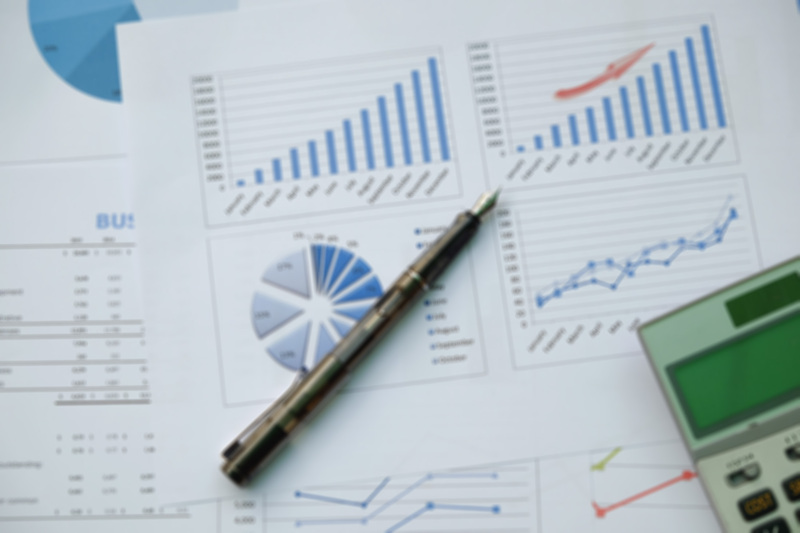 Prophix is an established provider of financial performance management (FPM) software for planning and budgeting, forecasting, analysis and reporting, and managing the financial close and consolidation process. Its eponymous software is designed specifically for midsize companies or midsize divisions of larger corporations. These organizations are a distinctive segment of the market in that they have almost all the functional requirements of large enterprises but have fewer resources to apply to these critical tasks. Fortunately, the evolution of information technology over the past decade has been especially beneficial to midsize customers, bringing them expanded capabilities, substantially better performance and greater automation of routine tasks at an affordable total cost of ownership. 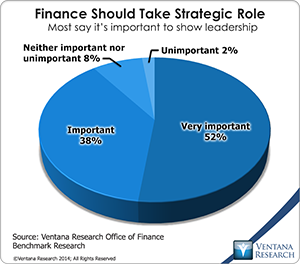 Ventana Research defines financial performance management (FPM) as the process of addressing the often overlapping people, process, information and technology issues that affect how well finance departments operate and support the activities of the rest of their organization. FPM deals with the full cycle of finance department activities, which include planning and budgeting, analysis, assessment and review, closing and consolidation, internal financial reporting and external financial reporting, as well as the underlying information technology systems that support them. Anaplan recently held Anaplan Hub, its annual user group meeting. 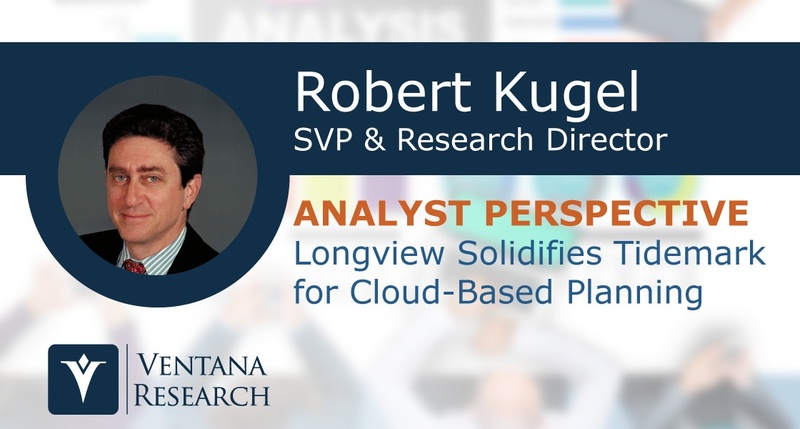 The company offers a cloud-based business planning platform that incorporates a modeling and calculation engine. The tool makes it relatively easy to add or expand the scope of plans that can be connected and monitored as a central source. Companies typically use Anaplan software for financial planning or budgeting, sales, workforce, marketing and IT planning. 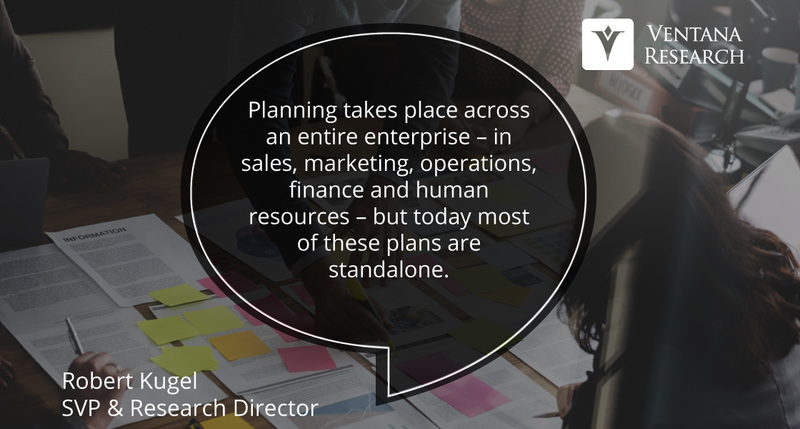 These are the types of plans in which companies often need to create models that incorporate their specific requirements, their strategy and their business systems. 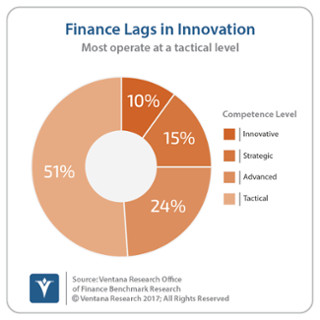 Senior finance executives and finance organizations that want to improve their performance must recognize the value of technology as a key tool for doing high-quality work. Consider how poorly your organization would perform if it had to operate using 25-year-old software and hardware. Having the latest technology isn’t always necessary, but it’s important for executives to understand that technology shapes a finance organization’s ability to improve its overall effectiveness. Like many other industry observers I’ve heard overblown claims for information technology for decades. However, I’ve also observed that – eventually – reality catches up with vision. Finance and accounting departments are particularly resistant to change, yet because almost no corporations use adding machines or typewriters any more, it’s clear that transformative change can happen. Nonetheless, because users of business computing systems are inundated with “it’s better than ever” promotions by vendors, journalists and industry analysts, may have grown jaded and disbelieving. In the case of ERP systems that help run many organizations, that is too bad because we are finally at the point of a fundamental change in this business-critical software category. 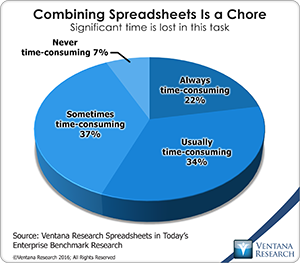 Ventana Research coined the term “enterprise spreadsheet” in 2004 to describe a variety of software applications that add a desktop spreadsheet’s user interface (usually that of Microsoft Excel) to components that address the issues that arise when desktop spreadsheets are used in repetitive, collaborative enterprise processes. Enterprise spreadsheets are designed to provide the best of both worlds in that they offer the ease of use and flexibility of desktop spreadsheets while overcoming their defects – chiefly inability to maintain data integrity, lack of referential integrity and dimensionality, absence of workflow and process controls, limited security and access controls as well as poor auditability. All of these issues can cause serious problems for business use, which I’ll discuss below.